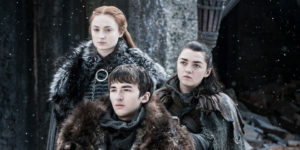 Sad news for all fans of mega-hits Game of Thrones and Westworld as HBO announced that they will not be attending this year’s San Diego Comic Con. According to a report on Collider, HBO will not be represented in this year’s SDCC, meaning there will be no panels for the fantasy epic Game of Thrones or the sci-fi mindbender, Westworld. It’s bad enough that Marvel isn’t going to be there and now this. But there’s always a lot to see at SDCC. 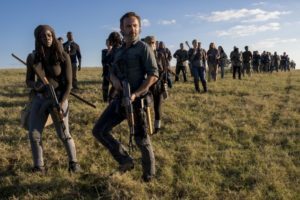 Collider assures us that Warner Bros. will be there so there will be panels on The Walking Dead and Fear the Walking Dead, long-running shows with big fandoms and major story developments. And The Nerdist reports that there will be panels for Doctor Who and Nightflyers. And there will probably be much more to come so we should not worry too much. Still, this is a pretty big loss. The final season of Game of Thrones is set to air in 2019. Westworld is currently airing every Sunday, with two episodes left for its second season. Stay tuned for more updates on who will be attending the event and our full coverage of this year’s San Diego Comic Con.